This powerful image is just one of many paintings by Laurelsong Cook that have just been put on display at the Cafe del Sol, in Floyd, Virginia. 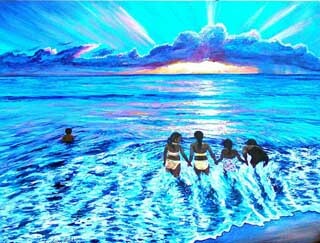 for Hawaii and Laurelsong’s painting evoke memories of a tranquil and spiritual existence that is all too rare in today’s world. 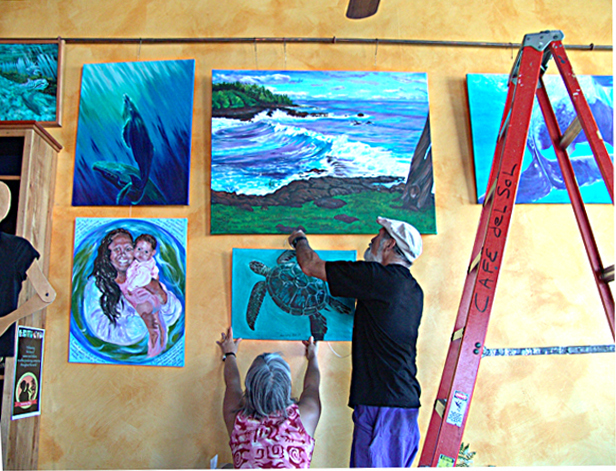 Laurelsong works in acrylics on canvas and her stunning array of underwater and island images capture the feeling of life in that tropical paradise..
Laurelsong never planned to leave Hawaii, but she recently married Luke Staengl, local Floyd businessman, and Hawaii’s loss is our gain. Watching Laurelsong and Luke hang paintings in the Cafe del Sol is like being invited to a private party. Each painting that goes up on the wall changes the equation and invites one to examine the paintings anew. These paintings have such vibrancy and power that they literally brighten even the darkest corners of the Cafe. The subject matter inevitable reminded me of Wyland’s work, but where Wyland’s images seem to project static serenity, Laurelsong’s paintings vibrate with life. That’s my personal bias of course, give me life over serenity any time. 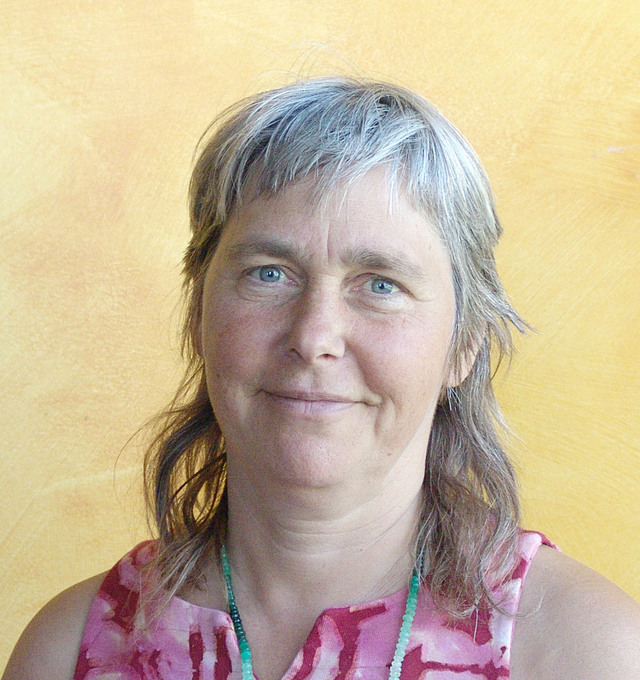 Laurelsong’s philosophy is that art can heal our bodies and minds. If you visit her exhibition at the Cafe del Sol, you will see for yourself that her work creates an upbeat and optimistic mood. Thanks again to Sally and Frank Walker of the Cafe del Sol for making it possible for us to enjoy fine art with gourmet coffee. This entry was posted in Artists and their art and tagged acryllics, Cafe del Sol, Dolphins, Hawaii, Laurelsong Cook, Luke Staengl. Bookmark the permalink. I was stunned by the blue beauty at the Cafe Del Sol and also snapped a few shots. I’ll have to link over here. Lauralsongs work is full of life and joy. She is a wonderful artist and a wonderful person.I feel very blessed to have some of her paintings in my home, where I can admire and be affected by them daily. It was a pleasure meeting Lauralsong and seeing her work for the first time several years ago at the University of Hawaii Christmas Fair in Hilo. She and I finally connected on her last trip back to the Islands.